Since 2004, Dr. Randy Wurts has been passionate about enriching the lives of his many patients. 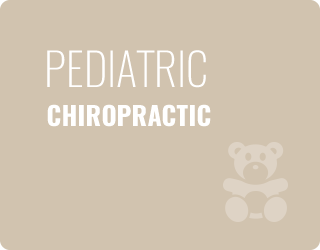 Our care is personal and customized, with an emphasis on pediatric and prenatal chiropractic, as well as skilled extremity adjusting. Call today for a free consultation! This is limited to the end of April 2019 or the first 20 people, So call today, because we don’t want you to miss out. Click here for the details and to reserve a time. Columbus Ohio Chiropractor, Dr. Randy Wurts and inThrive Chiropractic, are excited to serve the people of Columbus and surrounding areas. Their vision is quite simple, “create a healthy community”. inThrive Chiropractic offers effective, on time, friendly chiropractic care. They also believe you should not only feel better, but also leave feeling you had a great overall experience. 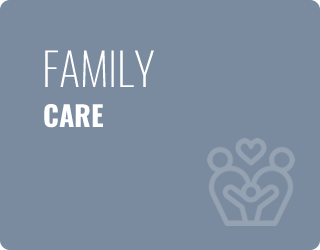 We are here to help you and your family with your health care needs. inThrive Chiropractic is dedicated to their patients and the surrounding communities. Devotion is demonstrated both inside the walls serving patients and in the community serving people. Dr. Wurts has deep respect and compassion that he holds for every patient who walks through the door. Whether that patient is 3 days old or nearly 90 years old, he and his staff at inThrive are accommodating, gracious, and always willing to go the “second mile” for someone to regain their health. “People do not just go to just anyone, they go to someone they can count on. Someone they can trust.” ~Dr. Wurts inThrive Chiropractic takes particular pride in helping patients recover from extremity injuries, and their reputation for excellence in adjusting everything from ankles to elbows is widely recognized. 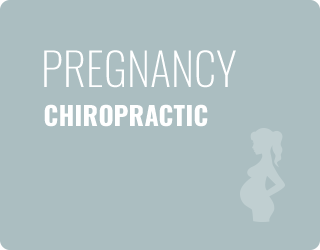 Dr. Wurts is also a certified wellness practitioner and emphasizes the lasting benefits of both pregnancy chiropractic care and pediatric chiropractic care. A doctor who wants to understand your health problems and how they are affecting your life. Staff who are attentive, friendly, and know you by name. An atmosphere that is both positive and inviting. A practice who sees you first as a person, then as a patient. We pride ourselves in doing the basics exceptionally well, not just for a solution to a problem, but your solution to your problem. If for some reason, we unable help you, we will find you someone who can. We care deeply about our patients. We’ve accumulated more than a decade of hard-won experience and continuous study to be able to offer our patients the type of elite treatment that creates consistent results. Contact us today for a free consultation with our chiropractor in Columbus Ohio. We accept most insurance, including Medicare, and feature same-day appointments! It has been a pleasure to work with you and Crystal! I love the smiles and positive energy! I am so glad I chose you! Seeing Dr. Wurts was one of the best decisions of my life! I’ve taken control of my life again and can do the things I love. Professional care with a personal touch. Never felt nervous prior to adjustments. I have more energy throughout the day. 10/10 would recommend. Dr. Wurts you are a very caring person God Bless your work. I enjoy the Dr.’s calmness and knowledge of my skeletal system……..Feel joy and love here. The overall benefit from less pain has been attitude and capability of fully enjoying time with my family. I would suggest anyone who has pain or other issues to give it a try! I’m always telling my friends “lineman” to give it a try it has helped me! I actually like coming to my appointments, everyone is friendly and I always leave with a smile. Thank you! I wish I would have come in much sooner! Great experience. Better understanding of the issues I was having. It has been enjoyable and beneficial to learn all that is associated with your spine. It is great having relief from all these issues. Thank you very much! Everything has been phenomenal from the start! I visited Dr. Randy for a pain in my back. I thought that was all I needed but received so much more. Dr. Wurts works with nerves and has helped so many people, especially children. He loves kids. He has helped us so much over the years. With the lord guiding Dr. Wurts I am feeling much better, physically, mentally and spiritually. Thank you God and Dr. Wurts!!! I would recommend this office to anyone. Dr. Wurts is very knowledgeable and a very compassionate person. I wouldn’t know where I’d be if I didn’t come see Dr. Wurts. I’m healthier and back to my old self. A big thank you to Dr. Wurts.